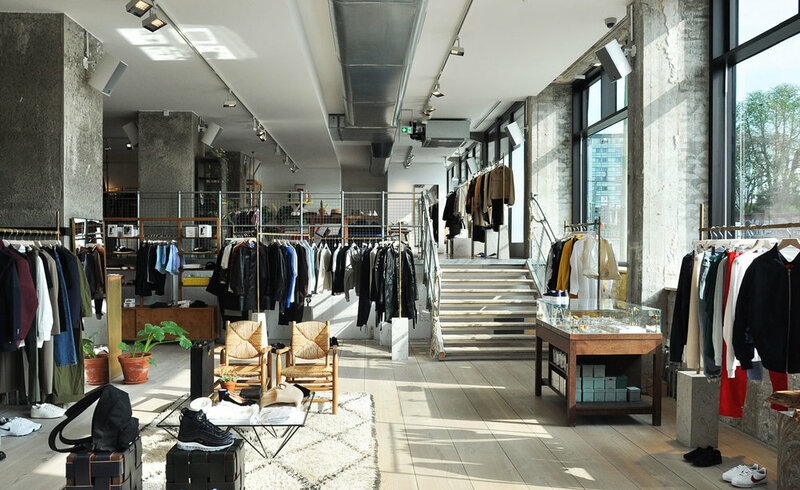 Let's face it: Designing a store isn't what it was before. You have a creative idea? Well you have to think even one step further! Meeting customers' expectations when it comes to shopping experiences is of high importance when creating new store designs. This is where Instagram comes into the game. You surely heard at least once someone saying next to you: "Oh wow, this is so instagrammable!" Well this is the buzzword you should take seriously into account when it comes to rethinking your Visual Merchandising strategies for your brick and mortar stores. Millennials and the following generations have not experienced something if they don't post it. It's not on Instagram? It never happened. You could see their Social Media profiles (next to Instagram, Facebook and Snapchat play a huge role), as a personal way of Visual Merchandising. They build a brand around themselves: Does the picture fit in my feed, do I use the right filter etc. Instagram reached 1 billion monthly active users as of the month of June in 2018. Creating your store design with having this in mind should help you to create a store where you don't have to worry about whether you're meeting customers' expectations when it comes to experiences. Customers nowadays want to enjoy their time in your store. Selling them products is by far not enough. Building a nice environment to enhance customer loyalty and trust is what should be the main focus point and will be surely the future of retail. The lines between shopping and entertainment are getting blurred increasingly. Of course a beautiful and aesthetic store design will help to encourage customers to take pictures of your store and post it. To give it a little more of a push brands have creative strategies to embrace this "Look where I was shopping today - it looked amazing"- culture. Victoria's Secret, for example, implemented mirrors throughout their stores and explicitly asked their customers to go into the stores and share some pictures of them with hashtags like #VSTease and #VSGift to promote their new perfume and evolve brand awareness on Social Media. Retailers today should understand that store design, Visual Merchandising and external marketing strategies like Social Media campaigns highly correlate and support each other. When thinking of new store design, think "instagrammable". Have a look at the gallery below. We chose our favourite stores that took their store design to level we were talking about! Gallery - who does it best? Are you interested in a smart retail planning technology? Get some more information about VR's MockShop, our product that helps you to digitally plan your stores and visualise your product ranges. Deliver clear Visual Merchandising guidelines and turn your store into an “instagrammable” experience for your customers. Talking about Instagram… Don't forget to follow us on our Social Media channels to keep yourself updated with industry insights, news, and of course those visual retail treats. Follow us on Instagram, Facebook, LinkedIn, Twitter and YouTube.